Joyce Roché, retired CEO of Girls, Inc., will discuss and sign copies of her new book, The Empress Has No Clothes: Conquering Self-Doubt to Embrace Success, on Monday, October 28th from 1-2PM at Park Place Outreach – Youth Emergency Shelter, 514 E. Henry St. The event is free and open to the public. Seating is limited; please call Park Place Outreach at 912-234-4048 to reserve a spot. During her presentation on the topic “Conquering Self-Doubt to Embrace Success,” Roché will discuss impostor syndrome, a feeling of being a fraud and not deserving one’s success. She will examine how imposter syndrome impacted her own life and the lives of many other successful people whose stories are documented in the book and provide techniques for quieting the voice of self-doubt. 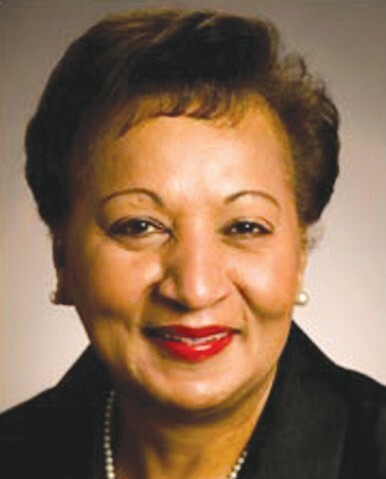 Roché, who is now secretary of the Park Place Outreach Board of Directors, previously served as COO and president of Carson Products Company, now part of L’Oreal, and was the first female African-American vice president of Avon Products, where she oversaw global marketing. Roché has been a trailblazer in the corporate world for 25 years. Roche was recently featured in USA Today and the Huffington Post, and she appeared on a segment on Today New York. In The Empress Has No Clothes: Conquering Self- Doubt to Embrace Success (Berrett-Koehler, 2013), written with Alexander Kopelman, Roché shares her own lifelong struggle with impostor syndrome. She uses her own experiences and those of other high-achieving leaders who have suffered from impostor syndrome to offer advice and coping strategies. Each chapter of Roché’s book includes first-person accounts by well-known leaders, including BET Network Chairman Debra Lee and former General Motors Chairman and CEO Ed Whitacre, who have struggled with impostor syndrome. Throughout the book, readers learn the difference between insecurity and impostor syndrome, common behavioral symptoms of impostor syndrome and strategies for overcoming it. Roché also examines the reasons why women, young professionals, the economically disadvantaged and minorities are especially susceptible to impostor syndrome.